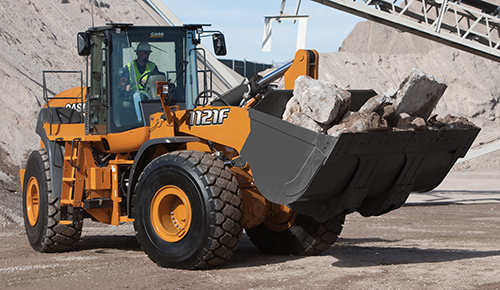 The CASE Construction Equipment 1121F wheel loader offers optimum stability with a longer wheelbase and lower center of gravity. Case Construction Equipment recognized 16 dealers across North America with awards for excellence in sales and support of Case equipment. Case Construction Equipment’s (Case CE’s) SiteWatch telematics portal now aligns with the Association of Equipment Management Professionals (AEMP) 2.0/ISO-15143-3 standard. Ina Store, which covers northern Michigan from Saginaw to Traverse City, is the company’s new dealer. Canadian producer Fowler Construction realized a number of benefits by adding two wheel loaders to its fleet. 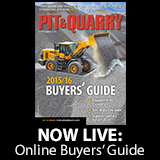 Scott Construction Inc. matches equipment to the extreme demands of its Wisconsin granite pit.